How to make Masala Moong Dal with step by step pictures. Moong dal is a good source of protein and easy to digest for vegetarians. 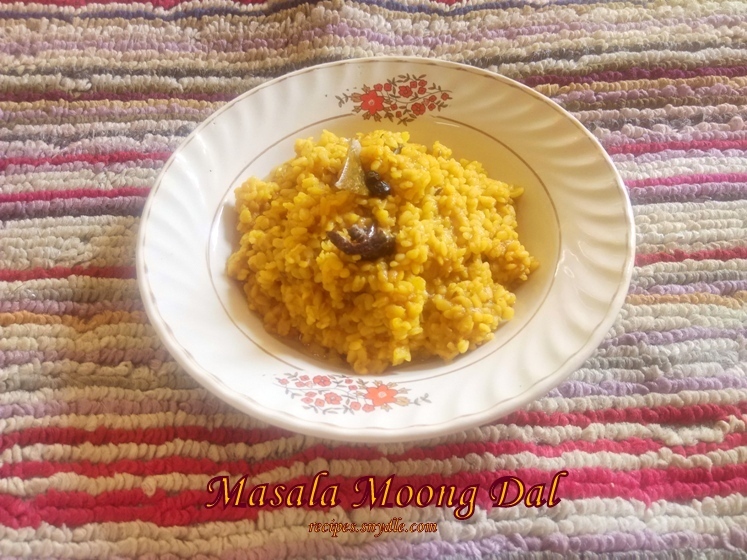 Here is a simple and easy masala moong dal recipe. Moong dal contains less carbs as compare to other dal/pulses but rich in proteins. 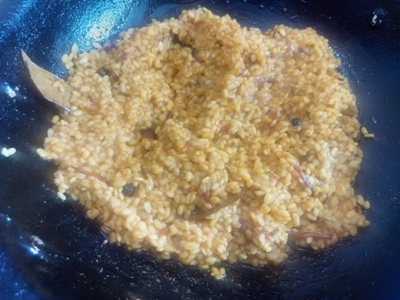 Here I have used soaked moog dal/split yellow gram for the reason that we need to have the whole gram after cooking. 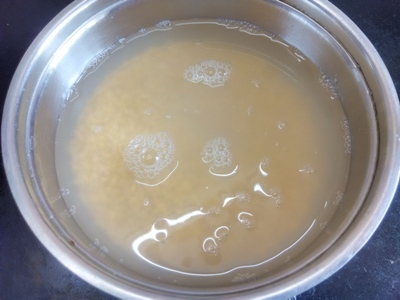 Moond dal is bland and plain to taste and usually I used to avoid having moond dal. Even kids don’t like to have moong dal like me. Although my mom tried different recipes of moong dal for me and my younger brother and we use to run away and hide our selfs. 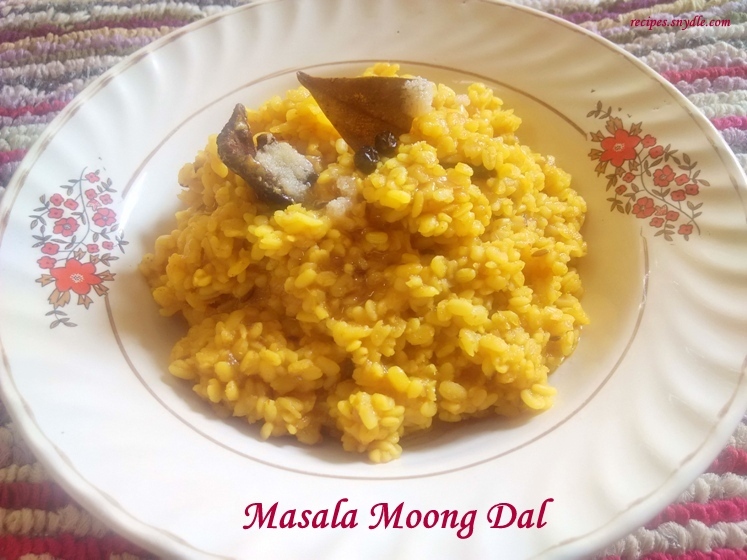 This recipe of masala moong dal is my favorite. This recipe can be called as mirch masala moong dal. 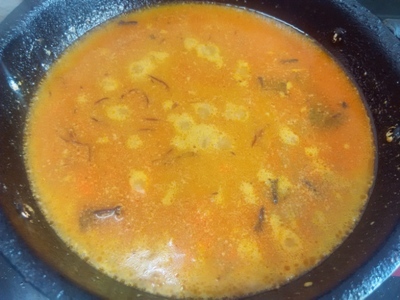 The spices added to the dal give a scrumptious flavor to the moong dal. You can adjust the spices according to your choice and preference. If you have this recipe left over. Here is another recipe for you. 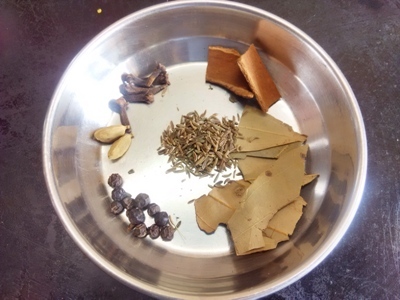 Remove all the spices/sabut garam masala from the dal and use the dal for making parathas. Two types of parathas can be made with this masala moong dal recipe. 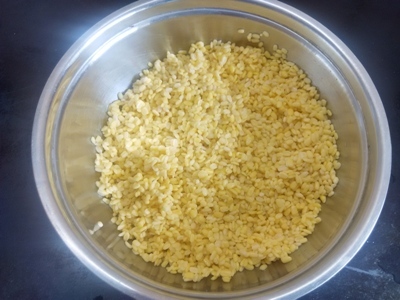 Directly make a dough by mixing dal and wheat flour or use the dal as a stuffing for parathas like we do for puranpolli. This parathas are excellent and healthy to have with clarified butter or butter in the morning breakfast. Serve masala moong dal hot and garnish it with clarified butter or butter. 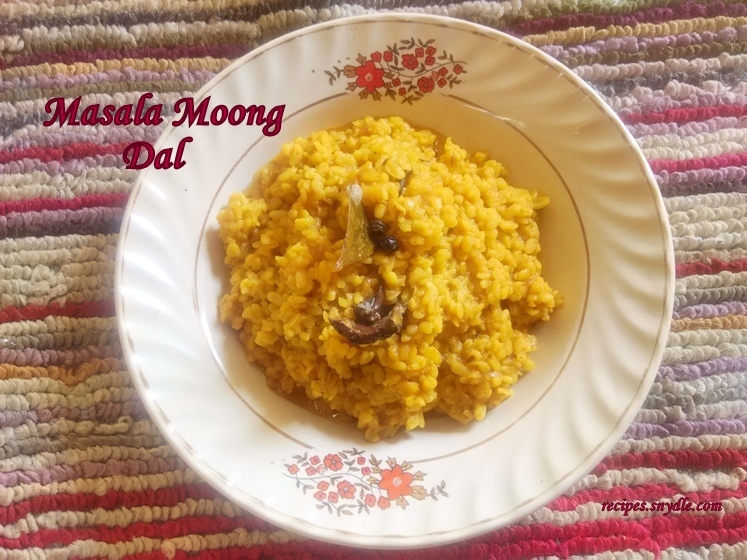 This recipe of masala moong dal can be had with roti/chapattis/Indian bread and jeera rice. 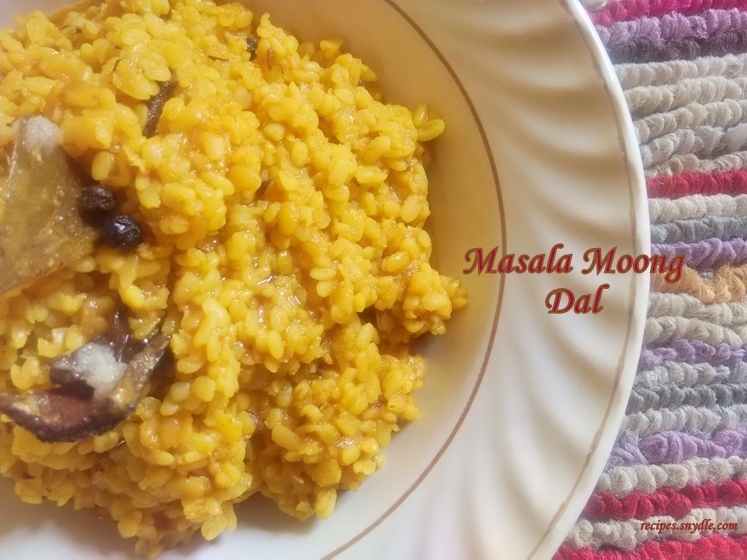 Moong dal masala can also go along with roti, rice and a side dish of vegetable/sabji. This recipe of masala moong dal yields 4 servings. For the purpose of measurement, 1 cup = 250ml. 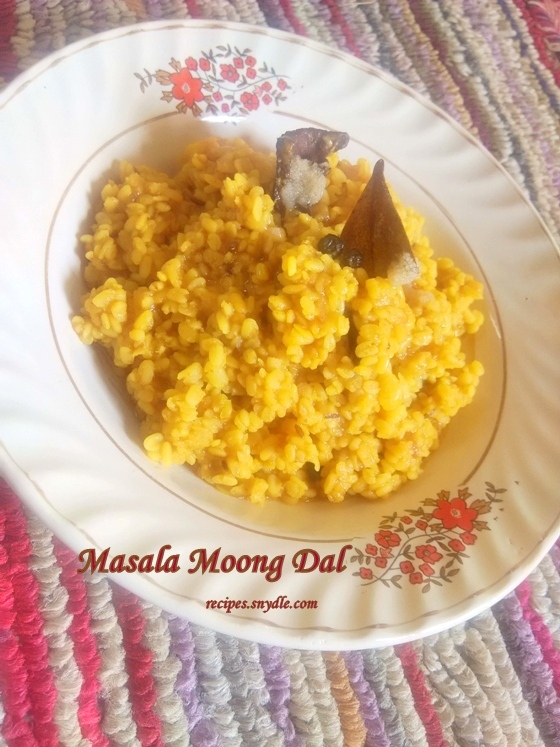 How to make Masala Moong Dal. 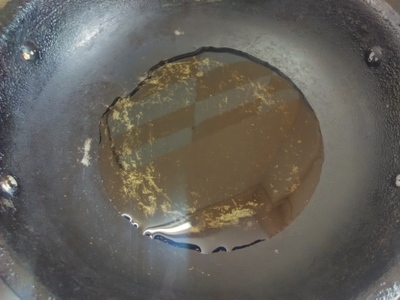 Heat a skillet and oil to it. 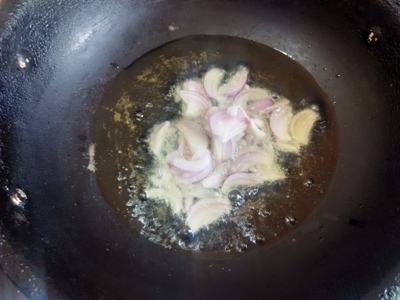 Add sliced onion into the hot oil. When the onions turn to light brown colour add black pepper, bay leaf, cardamom, cinnamon, black cumin seeds and cloves to the skillet. Mix it well. Add ginger and garlic paste and mix it well. 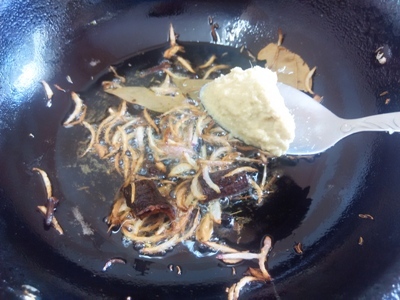 Allow the ginger and garlic paste to cook till it turns to golden brown colour. 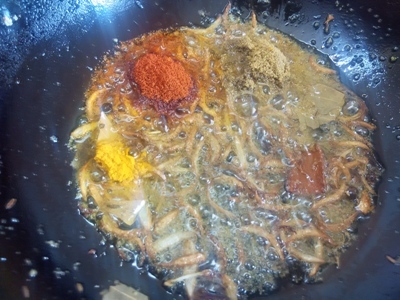 Now add red chilli powder, coriander powder, turmeric powder and salt to the skillet. Mix it well. Now drain the excess water from the moong dal. 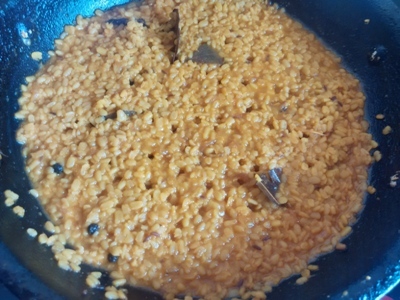 Add the soaked moong dal to the masala mixture and mix. 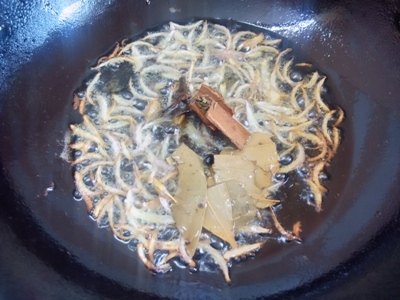 Reduce the flamr to low.Continuously sauté dal with spatula for 4 – 5 minutes till the water drys. Add water to the masala dal and increase the flame. Mix it well .When the dal takes a boil reduce the flame to low. 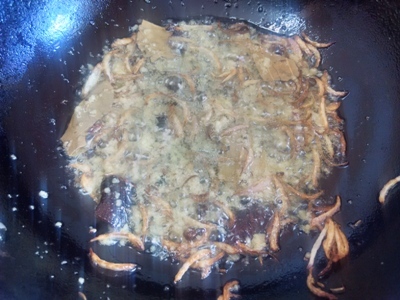 Cover the skillet with lid and allow the dal to cook for 10 minutes on low flame. Masala moong dal is ready to eat. Garnish it with the garam masala which the dal already contains. Serve hot by adding clarified butter/ghee to masala moon dal with parathas and jeera rice. Previous Post: Palak Gosht Recipe/Spinach Meat Curry Recipe. Next Post: Chicken Pulao Recipe/Chicken Dum Pulao Recipe.